Our mission is to make you happy. We want you to feel that you received top value from our services. We ask for your feedback with our quick online satisfaction survey after every job and immediately deal with any concerns. Our 3-bay shop allows us to offer quick auto repair services at the best price possible. Our multi-bay, highly efficient shop gives us the edge in providing top quality workmanship with less waiting for you. We serve you Monday through Friday from 8am to 5pm and Saturday 8am - 2pm. Now that's amazing! Auto Safety Center has been a BBB Accredited business since 2009. This means it supports BBB's services to the public and meets BBB Accreditation standards. Auto Safety Center has a BBB Rating of A on a scale from A+ to F.
If you need to be picked up or dropped off at your home or office, call us - we will make it happen. Plus we offer free pickup and delivery. Now that's convenient! Can’t be without your wheels? We have a free loaner car for your convenience, because when your vehicle is in the shop, we know your life doesn’t stop. Need to drop off your vehicle outside our operating hours? No problem with our early bird drop off form. Print and complete the form at home, park your vehicle at our shop, leave the form in your vehicle, and place your keys in the mail slot in the office door. 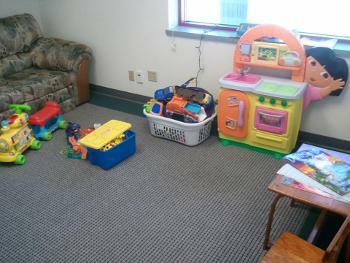 Auto Safety Center is a family owned and operated business. Owners Joe and Jessica Valind work in the business right along with their awesome staff. Come check us out, we’ll make you feel like part of the family too. 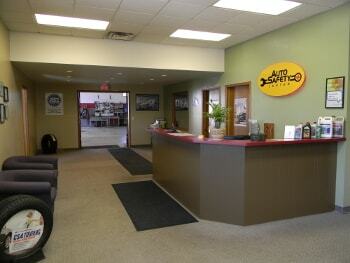 Auto Safety Center has provided high quality, guaranteed automotive repairs in West Bend, Wisconsin since 1965. 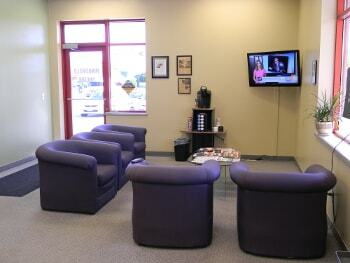 They are an independently owned and operated full service auto repair facility. Owners Joe and Jessica Valind and their friendly employees use the latest diagnostic equipment to guarantee your vehicle is repaired and serviced properly and in a timely fashion. A fully equipped 3 bay auto repair shop allows for quick, efficient repairs. We use high quality parts and products that preserve or enhance your vehicle's performance and reliability. You get lower cost repairs from our latest high tech equipment and highly trained people. Better equipment allows us to accurately diagnose and repair your vehicle in the most efficient way possible. Less time, fewer mistakes, no unnecessary parts replacement provides greater value for you. Simply said, we guarantee honesty at Auto Safety Center each and every time. It’s just what we do. No hassle, no quibble guarantee. If it's not right, we will fix it. Problems happen so rarely that we usually go overboard in making up for your inconvenience. Some people are actually happy something went wrong! We aim for 100% satisfaction. More details about our auto repair guarantee. That's right! On most jobs we will have your car back the same day. Now that's service! Our customers LOVE to recommend us to their friends and DO so quite frequently. 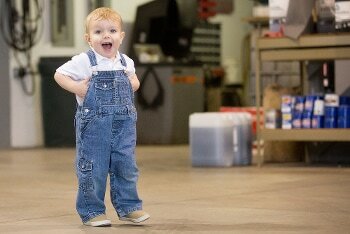 Our philosophy here at Auto Safety Center is “to look out for the interest of our customers first”. Our Service Advisors will always give you straight forward advice that is morally sound and non technical. The more you know, the better decision you can make regarding your vehicle. We are here to serve you. We have a complete online profile of all Import and Domestic vehicle maintenance service schedules. We can help you meet all manufacturer warranty maintenance requirements.